Shoulders and rugby – what do I need to know? Your body is made up from over 200 named bones. Anywhere that two or more of those bones come together, there is a union or joint. Joints can be immovable, like the plates of your skull, slightly moveable, like the vertebrae of your spine, or freely moveable, like your elbows, knees, and hips. Of all the joints, the shoulders are the ones that most ruggers tend to be aware of, mainly because they are very prone to injury. Studies reveal that over 60% of rugby players will suffer a shoulder injury at least once in their career, and 75% of those players will experience recurrent shoulder injuries. Shoulder injuries can range from a mild strain to partial or full separation, and while some shoulder injuries will heal by themselves, needing nothing more than rest, others may require hospitalization or surgery to repair. Needless to say, with shoulder joint injuries being so common, it makes sense that every rugger should take steps to try and injury-proof their shoulders, so they can stay off the bench and in the game. The shoulder is a ball and socket-type joint – just like the hip. However, the socket in the shoulder is very shallow, which contributes to its inherent instability. It is surrounded and controlled by 13 different muscles, many of which are relatively small and weak. This all adds up to a joint that is very mobile, but also very instable. To understand why instability can be a cause of injury, imagine a seal balancing on a ball, and then imagine that seal balancing another ball on its nose. That is essentially what your shoulder has to deal with and why it is so prone to injury. All that wobbling exposes the muscles, ligaments, tendons, and cartilage to lots of different types of stress. Add large external loads (opposing players, heavy dumbbells) and it’s easy to see that there is a lot than can go wrong! Shoulder joint structure can also vary slightly from person to person, which is why some players are more prone to chronic shoulder injuries like rotator cuff impingement than others. Factors such as a narrow sub-acromial arch means that the tendons of the rotator cuff can become trapped (impinged) between the bones that make up the shoulder joint, causing swelling and inflammation. If you find that exercises like behind the neck presses aggravate your shoulders, this may be the reason why. The reason the shoulder joint is so susceptible to injury is that it is a very mobile joint. The mobility allows you to move your arm through a very wide range of motion, but it comes at a cost: instability. The more unstable a joint is, the more prone it is to both acute traumatic and chronic injury. Your shoulder joint is very strong in some positions, but very weak in others. For example, you might be able to bench press bar-bending weights when your arms are perpendicular to your torso but, take your arm behind your back, and even relatively low amounts of force can cause serious injury. 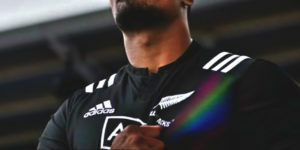 Like all rugby-related injuries, shoulder injuries have a number of different causes, including stretching for the line to score a try, and side-on impacts. However, tackling is the most common cause of shoulder injury, although it is the tackler rather than the ball carrier who is most at risk. Shoulder injuries also tend to be more common in the second half of a rugby match, when fatigue can lead to technique breakdown and loss of concentration. If you want to stay sharp in the dying minutes of a tough game, make sure you try 80 Brain, a balanced nootropic supplement designed to keep you mentally sharp until the final whistle. Shoulder injuries don’t just happen on the playing field; they can also happen in the gym too. The shoulder joint is involved in every upper body exercise you do, and that can lead to a lot of wear and tear. Poor exercise technique, lack of balance between opposing muscle groups, lack of flexibility, and the accumulation of scar tissue and calcification can all contribute to shoulder problems. Good playing technique can significantly lower your risk of injury while you are playing rugby. Make sure you have been taught how to tackle properly so that you don’t put yourself at unnecessary risk. You should also work on your fitness and conditioning so that, as the game goes on, you are able to keep on playing with good technique even when you are tired. There several other things you can do to keep your shoulders in good shape and reduce your risk of developing what is often referred to as rugby shoulder. If your go-to upper body exercises are barbell bench presses and barbell overhead presses, you might be very strong, but may lack multi-directional stability. Exercises like single arm bench and overhead presses, javelin presses, stability ball bench presses, and single arm push-ups will strengthen the deep stabilizing muscles in your shoulders, increasing general joint stability and functional strength during workouts. Supplement your regular barbell work with these exercises to develop greater stability. Most upper body pushing exercises involve internal humeral rotation which means, in other words, your upper arm is turned inward. This can create mechanical issues within your shoulder, leading to injury. Fix this by doing external rotation exercises such as L-flyes with bands or light dumbbells. Do these daily for best results. They’re easy and you could easily bang out a few sets while watching TV. To ensure your shoulders are strong and stable, you should endeavor to do the same amount of pushing training as you do pulling. In other words, for every set of bench presses you do, you should also do a set of rows, and for every set of overhead presses you do, you should do a set of pulldowns or pull-ups. Your strength should also be similar for pushes and pulls in the same plane. By balancing horizontal pushing and pulls, and vertical pushes and pulls, your shoulder musculature will be balanced too, and you will be less likely to develop postural abnormalities that can lead to shoulder problems. If your pulling strength is a long way behind your push strength, get things back on track by doing two sets of rows and pulldowns for every set of bench and overhead presses. Tight shoulders are more prone to injury than flexible, mobile shoulders. General stretching of the deltoids, lats, and pecs will help, but you’ll get better injury-proofing results by focusing less on isolated flexibility, and more on general mobility. One great exercise for this is shoulder dislocations but, don’t worry, it’s not as painful as it sounds! All you need is a broomstick or, if you prefer, a resistance band. Do this exercise daily for mobile, injury-resistant shoulders. Start doing shoulder prehab exercises BEFORE you need them. Prehab is much more enjoyable than rehab! Look after your shoulders – you’ll miss them when they are gone! Most ruggers will experience at least some shoulder pain, but if you are proactive rather than reactive, you should be able to make sure your shoulder problems are infrequent and mild, instead of constant and serious.